Oprah Winfrey says Super Soul Sunday is the television show she was born to do. "I see it as an offering," she explains. "If you want to be more fully present and live your life with a wide-open heart, this is the place to come to." 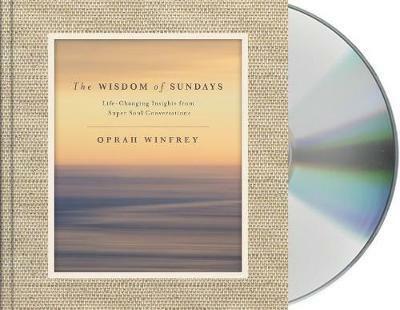 Now, for the first time, the aha moments of inspiration and soul-expanding insight that have enlightened millions on the three-time Emmy Award-winning Super Soul Sunday are collected in The Wisdom of Sundays, a beautiful, cherishable, deeply affecting audiobook. intention and mindfulness. World-renowned teachers like Eckhart Tolle and Michael Singer explain our complex relationship with the ego and the healing powers of love and connection; and award-winning and bestselling writers like Bryan Stevenson and Caroline Myss explore the beauty of forgiveness and spirituality. This unique audiobook, adapted from the print edition, includes a complete conversation between Oprah and a leading visionary on each chapter's topic, and Oprah Winfrey reads the original essay she wrote to introduce each chapter.